HMD Global is all set to give tough competition to the high-end smartphones such as Apple, Samsung etc. 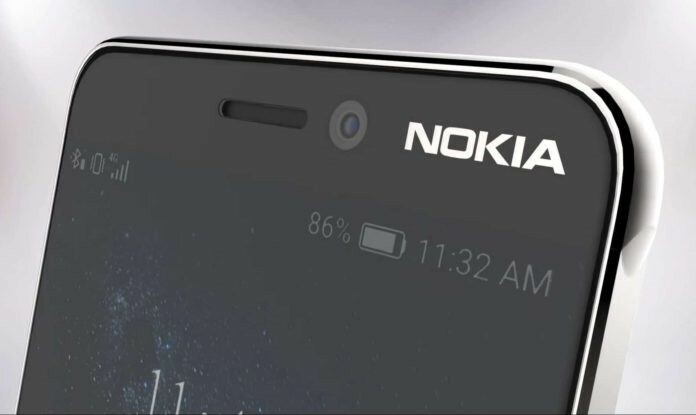 The company had been extremely covert about any information leak of Nokia 9, but unexpected leak from FCC revealed much anticipated Nokia 9 secrets. Rumours earlier this year suggested Nokia 9 would be the real “iPhone killer” festooned in our beloved Nokia branding. FCC reveals a great deal of information about smartphones long before customers can actually get their hands on the devices, although significant portion of information is not available to mass media. Recently FCC leaked screenshots of the settings app of a device of HMD Global (model number TA-1005) without ascertaining the name of the model but circulating rumours of Nokia 9 -HMD’s latest addition to the family – emphasizes that the smartphone must be Nokia 9. Nokia 9 would be fitted with snapdragon 835 processor, battery capacity of 3,250 mAh and 128 GB of built in storage. While exact RAM of the device has not been revealed yet, Nokia lovers must patiently wait for the release of official announcement of the forthcoming flagship of Nokia. Screenshots from FCC suggests that the phone would come out of the box with Android Oreo 8.0. The soon to be released flagship would feature an upgrade in display, 5.5-inch OLED screen manufactured by LG, from IPS LCD display of the predecessor Nokia 8. The display quality was one aspect Nokia phones were deemed less competitive in comparison to super AMOLED display of Samsung smartphones and other rivals. But on another note, LG’s Pixel 2 XL packed with LG’s OLED screen has been criticised widely due to the inconsistencies in OLED screen soon after Google had launched the smartphone. Nokia 9 will be a dual-camera module, one of the only few features that might set the phone apart from the rest. It has dual real camera of 12 megapixel and 13-megapixel and 5-megapixel selfie camera, 1080p video and f/2.4 and f2.0 lenses; the selfie camera resolution is rather disappointing compared to other high-end devices floating in market. So far Nokia 9 does not bring any mind-blowing feature to the table and is only the true iPhone 7 killer even if not a good competitor of iPhone 8 or iPhone X. Details about price or the release date in unknown. It would be interesting to see how much can HMD Global unsettle the smartphone market with their latest Nokia flagship model Nokia 9.